Planning a Halloween party this year? We wrote a blog last year about hosting the best Halloween party! To add on to what we said last year, we have some great new tips for you on how to make your children’s party the spookiest of them all! The main thing will of course be the decorations, no Halloween party would be complete without them! However, this shouldn’t mean that you need to break the bank in order to make your party a success! You can easily make a spider web decoration from a black bin bag. Simply fold it in half and cut out the shape in a similar way that you would cut out a snowflake design. You can also get creative with this technique, you could cut out the silhouette of a creepy looking tree, bats or even a cat! These look great when you put them in your window or would even make a great wall piece! 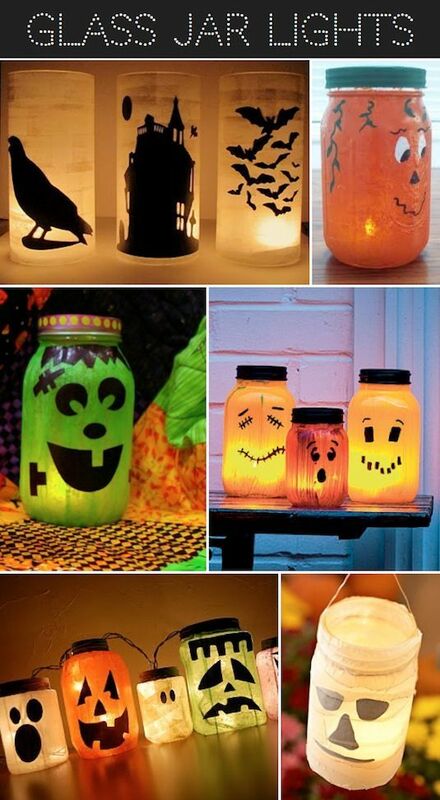 Another ornament that is great for Halloween is painted glass jar lights. These are really simple and really effective. All you need to do is go is get an empty glass jar, paint it either white, orange or green, stick some black card on the inside to make the shape of a face and then place a tea light in the jar. Easy as pie! And of course Halloween wouldn’t be complete without pumpkins! 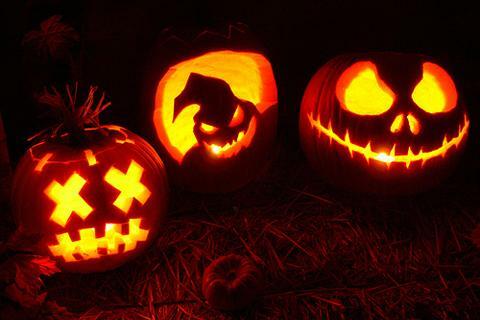 Click on the photo below of the pumpkin carvings, to check out some really fun and unique carvings that you could do this Halloween. Now, no child’s party would be complete without party games! Halloween is the perfect opportunity to get creative with the games that you choose! You can turn the classic ‘pin the tail on the donkey’ game into a spooky alternative such as pin the spider on the web, or pin the eye on the monster? You could have an ongoing game of guess how many eyeballs are in the jar (use chocolate eyeballs) and whoever wins the game gets the jar of eyeballs. Apple bobbing is a classic Halloween party game and is always a real hit with children (and even adults!) plus it’s really easy to set up which is always a bonus! 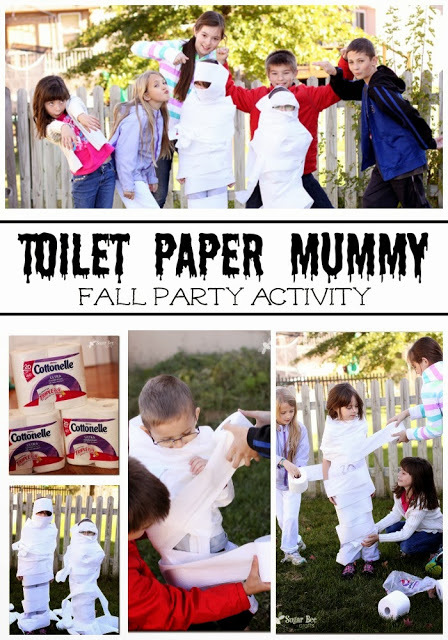 The ‘Mummy Game’ is a great game to give your party games a Halloween theme! You simply split your party guests into groups (it is your choice how many per group). Then each group has one toilet roll and their aim is to try and turn one of their team mates into a Mummy. The team that does this the fastest wins! This is great fun and is super cheap! Finally, the last but by no means least item on the list, the party food. This will complete your seriously spooky Halloween party. There are hundreds of amazing party food ideas for Halloween, but we have selected a few to tell you about to help you get things rolling! Although Halloween is all about sweets and treats, there are still some healthier alternative options which will not only look great on the plate, but will help your children to get some of their five a day. Simply peel a banana, chop it in half and stick two chocolate chips and voila! You have yourself some banana ghost nibbles! You can do a similar thing with strawberries, by dipping them in melted white chocolate then putting the dark chocolate chips on them to make the ghost eyes and leave to cool! You can also draw a pumpkin carving on some satsumas to make them look like mini carved pumpkins! 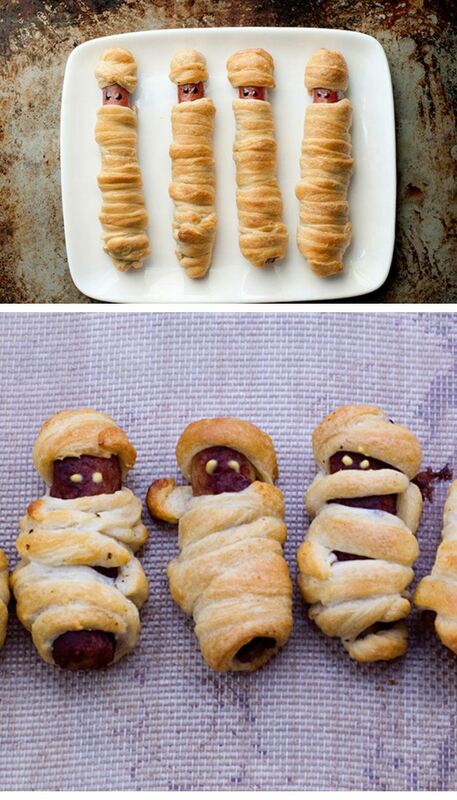 You can make some mummified sausage rolls by wrapping a sausage in thin strips of pastry, leave a little slot for the eyes. Then cook them and use mustard or ketchup to make their eyes! Hopefully these DIY party tips will help you make your Halloween party the spookiest of them all!